Follow recent advances in public health and members' contributions to research, practice, and teaching. ASPPH’s advocacy efforts are intended to 1) affect public policy decisions that impact member schools and programs, as well as their faculty and students, and 2) to provide timely information about Federal legislative and regulatory developments to the leaders of academic public health to better inform their operational and investment decisions. A key member benefit is the weekly ASPPH Policy & Advocacy Newsletter, which is delivered every Monday morning (along with special issues as events warrant). See a sample issue of the ASPPH Policy & Advocacy Newsletter. ASPPH champions public health education in Washington. ASPPH’s Policy and Advocacy Team works to increase federal government support for public health education, research, workforce training, and emergency services by working closely with our Congressional and agency partners. ASPPH meets regularly with government leaders to advise them on key public health issues, national health trends, and outcome measures to inform funding. Topics include the power of prevention and population-focused research, public health employment, and changes in public health curricula. We keep our members informed. ASPPH provides its members with regular updates on legislative advocacy, focusing on the topics most relevant to members. Through our monthly reports, detailing the latest strategic intelligence and policy developments, ASPPH members stay up-to-date on federal action affecting the field. The statements and letters below represent ASPPH’s stance on important issues that impact our member institutions, faculty and staff, students, and the public health community. ASPPH advances academic public health priorities through a variety of activities, including in-depth policy papers and analysis. The papers below represent ASPPH’s positions on key issues in public health – occupational safety, research and learning centers, as well as training programs and centers. These programs depend largely on legislative support, as many of these centers and initiatives are federally funded through Congressional appropriations and agencies, like the Centers for Disease Control and Prevention (CDC). ASPPH is committed to advocating for these issues and ensuring they remain funded and supported by Congress. The ASPPH Data Center houses tools and resources to answer questions about education for public health. Explore interactive data visualizations, infographics, and publications and reports. CEPH-accredited ASPPH-member data administrators and data users can access the data collection and analytics portals via the Member Login. If the information you are seeking is not found on the ASPPH Data Center, please submit via Data Request. The official journal of the U.S. Public Health Service and the U.S. Surgeon General since 1878. 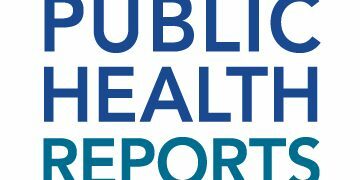 Published by the Association of Schools and Programs of Public Health (ASPPH) and SAGE Publications, Public Health Reports (PHR) has been a resource for the public health community for over one hundred years. PHR publishes bi-monthly on major topics in public health, such as infectious diseases and immunization, tobacco control, injuries and violence, chronic disease control, public health methodology, and issues of interest to state and local health departments. The journal has departments focused on public health law and public health schools and education, and features special commentaries by the Surgeon General and executives within the U.S. Department of Health and Human Services. Supplemental issues are published two to five times per year on special topics. Recent supplements have covered routine HIV screening in clinical settings, expanded access to hepatitis B and hepatitis C testing and care, and public health preparedness. PHR complements ASPPH’s mission to transform public health by strengthening and promoting the education, research, service, and practice activities of schools and programs. Together, we advocate for investments needed to advance population health and more effective public health policies. The PHR Meet the Author webinar series offers a unique forum to discuss current topics in public health. Each webinar focuses on an issue recently highlighted in Public Health Reports. During the webcast the author and distinguished guests will present the topic and then take your questions. All webcasts are archived and can be viewed or downloaded at any time.